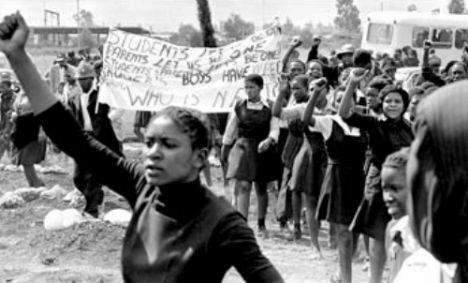 On this day in 1976 the students in the South Western Townships (Soweto) near Johannesburg, South Africa took to the streets to protest the racist Apartheid policies of the South African government. That day would mark a turning point in the Apartheid struggle, in South Africa and throughout the world. I've developed this post, and some of the resources and clips contained within, as a tribute to the children and youth involved, and their influence on our understanding of racism and resistance in Africa and throughout the diaspora, especially the indispensable role of our youth. The following is from the description written by Lucille Davie, accessible on SouthAfrica.Info. In 1976 the government introduced the compulsory use of Afrikaans as a medium of instruction from Grade 7 – then Standard 5. Circuit inspectors and principals received the directive: "It has been decided that for the sake of uniformity English and Afrikaans will be used as media of instruction in our schools on a 50-50 basis." What this meant was that maths and social studies were to be taught in Afrikaans, while general science and practical subjects such as housecraft and woodwork would be taught in English. Bonner and Segal say one of the reasons for this ruling was that television was to be introduced to South Africa in 1976, and "Afrikaans-speaking conservatives feared that it would strengthen the position and status of English in the country". It was also felt that black school children were becoming too assertive and "forcing them to learn in Afrikaans would be a useful form of discipline". Besides, the government argued, it paid for black education, so it could determine the language of instruction. This was not strictly true. White children had free schooling, but black parents had to pay R51 – about half a month's salary – a year for each child, in addition to buying textbooks and stationery and contributing to the costs of building schools. The disparity in the government subsidy was telling: R644 was spent on each white child, but only R42 on each black child. Pupils, teachers and principals opposed the ruling on Afrikaans, for more or less the same reasons: teachers were ill-equipped to teach in the language, which was for most a third language. It was cold and overcast as pupils gathered at schools across Soweto on 16 June. At an agreed time, they set off for Orlando West Secondary School in Vilakazi Street, with thousands streaming in from all directions. The planned to march from the school to the Orlando Stadium. "By 10.30am, over 5 000 students had gathered on Vilakazi Street and more were arriving every minute," say Bonner and Segal. In total, "over 15 000 uniformed students between the ages of 10 and 20 [were] marching that day". Once at the stadium, the plan was to agree on a list of grievances, and then possibly to march to the offices of the Transvaal department of education in Booysens, in Johannesburg's southern suburbs. Then came the first shot – straight into the crowd, without warning. Other policemen took up the signal and more shots were fired. Twelve-year-old Hector Pieterson fell to the ground, fatally wounded. He was picked up by Mbuyisa Makhubo, a fellow student, who ran with him towards the Phefeni Clinic, with Pieterson's crying sister Antoinette running alongside. The World photographer Sam Nzima was there to record Pieterson's last moments. "I saw a child fall down," he says. "Under a shower of bullets I rushed forward and went for the picture." The photo went around the world and Pieterson came to symbolise the uprising, giving the world an in-your-face view of the brutality of apartheid. Then all hell broke loose. Students targeted apartheid symbols: administrative offices, government buses and vehicles and municipal beer halls, which were first looted and then set alight. By the end of the day thick clouds of black smoke hung over the township, and the streets were littered with upturned vehicles, stones and rocks. Anti-riot vehicles poured into Soweto, roadblocks were erected at all entrances, the army was placed on alert and helicopters hovered overhead, dropping teargas canisters and shooting. The injured pupils were taken to Chris Hani Baragwanath Hospital, some dying in its corridors, some dying at its gates before they could be admitted, according to Bonner and Segal. The next day revealed the carnage: dead bodies and burnt-out shops and vehicles. The clashes continued, between police and students, joined by street gangs. Violence spread to another volatile Johannesburg township, Alexandra, and then across South Africa. 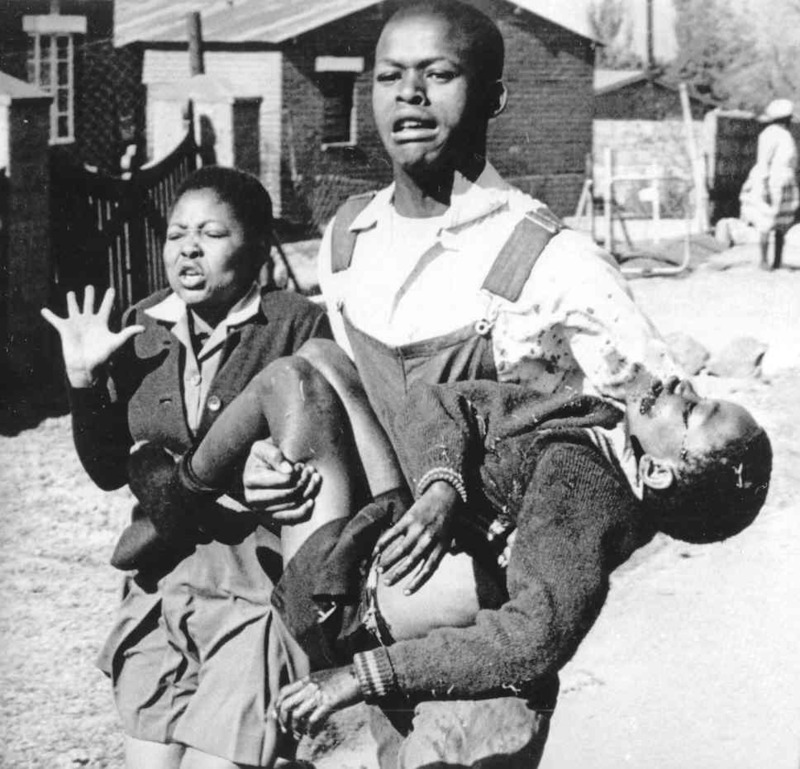 By 18 June, all schools in Soweto and Alexandra had been closed by the authorities. Most of the victims were under 23, say Bonner and Segal, and shot in the back. Many others were left maimed or crippled. By the end of the year about 575 people had died across the country, 451 at the hands of police, according to SA History Online. The injured numbered 3 907, with the police responsible for 2 389 of them. About 5 980 people were arrested in the townships that year.